Absolutely! Perhaps even more so for the high capacity volunteer, parent, or caring adult, for Kenny and Elle bring their expertise to the table in a relatable fashion that a Student Pastor and caring adult alike can use! Student ministry is not rocket science, but it is does possess a steep learning curve. Even though a few years in the field can teach most of the basics of what you need to know to do great, faithful ministry, those early years can be rough. I am in my 12th season of Student Ministry and 4th year of vocational ministry at a church. I thought I knew everything about Student Ministry before beginning my position, but I am realizing that only now am I really hitting on all cylinders. I learned so much more than I could ever realize that I did not know when I accepted this position. This podcast promises to bring wise and keen insight into these nuts and bolts, while keeping a light-hearted, humorous, and faithful perspective on an essential ministry of the church. "Youth Ministry Answers" will be a great podcast for any and every youth worker to hear and apply. Elle and Kenny will be posting a podcast twice a week, answering all the important questions we have as youth workers. And the best part... they accept questions on the podcast website and will feature your voice if they accept it! Cool, eh? I downloaded it, and already I am thinking through the ideas presented in the first couple of episodes. I highly commend it to you, and I hope that together, we can glean from Kenny and Elle and do better ministry for the cause of Christ for the teenagers in our community! Go directly to Youth Ministry Answers webpage, and download the podcast. But don't wait, they have already published 3 episodes! Heck, while you're over there, check out their other great resource, Stuff You Can Use! 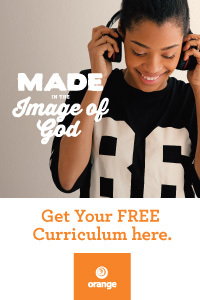 I visit there all the time to see what resources and great Student Ministry ideas I can download and use! QUESTION: What do you think of the podcast, and what is your question for Kenny and Elle? Newer PostDoing Healthy, Faithful Contact Work!